Bujumbura - IOM, the UN Migration Agency, has provided long-term shelter for more than 5,000 internally displaced Burundians. This sustainable shelter support was funded by the Swedish International Development Cooperation Agency (Sida) and carried out in partnership with the Government of Burundi and the Burundian and Luxembourgish Red Cross. Following floods and landslides, thousands of people – including over 4,000 women and children – were displaced for two years to four camps in Gatumba and Rumonge. A decommissioning process began in January 2018 to improve the living conditions of internally displaced people in the displacement camps: Cashi, Gitaza, Mushasha I and Mushasha II. The support provided to help those displaced transition from the camps included the construction of semi-permanent shelters and the provision of rental support, depending on their situation. Those who rented housing before the natural disaster or could provide a land title in areas deemed safe from the threat of natural disasters, received rental support. Others with secure and approved land in the hills of Rumonge were provided with transitional shelter, while the most vulnerable households received transitional shelter on plots provided by the Government. All received aid packages containing blankets, mosquito nets, floor mats, soap and a kitchen set, as well as dignity kits provided by UNFPA, the UN Population Fund. IOM also provided agricultural kits to households receiving rental support in Gatumba and Rumonge. These tools will help generate income, with the aim of eventually supporting themselves beyond the six months of rental support provided. The agricultural equipment included a shovel, two hoes, a watering can and an agricultural backpack sprayer for herbicide applications. “The closing of this camp is helpful for us because it decreases various disease,” explained Jean, formerly displaced and a camp leader from Mushasha II in Gatumba, the western part of Bujumbura province. “Fortunately, charity organizations helped us with the medical cards that gave us access to public health centres. Closing this will help us fight against diseases. We are also grateful for the rental support… The most important is to leave these small tents because it is not easy here, because diseases can be easily transmitted. It is also difficult when you have children, particularly the ones who are grown up. You understand how uncomfortable it is when you are a parent,” said Jean. He expressed hope that the closure of the camps would put an end to these grievances. In Rumonge, some 100 kilometres south of Bujumbura, a total of 159 houses were built at sites determined to have reduced risk of potential damage from natural disasters. Former internally displaced people will be housed in semi-permanent shelters on their land of origin. The most vulnerable internally displaced people, who either did not have land of their own or whose land was not approved due to disaster risks, were provided with plots in an area of land granted by the Government of Burundi in Kigwena. There, IOM, in collaboration with the Burundian and Luxembourgish Red Cross, built 174 transitional shelters for former internally displaced people and members of the host community. “Today marks an important moment not just for the 5,022 internally displaced people receiving shelter assistance, aid packages, transport assistance and reintegration support, but for the entire country as new communities come together and opportunities for improved wellbeing arise,” said AJ Morgen, IOM Chief of Mission. 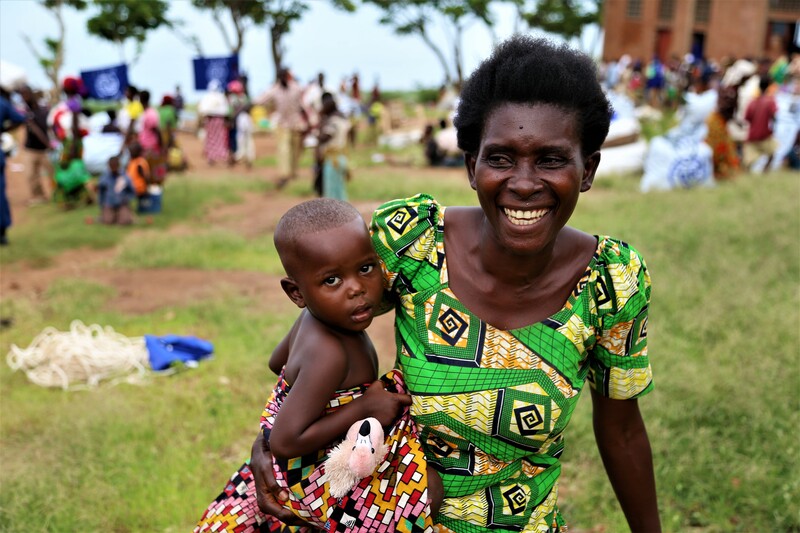 “The IOM team and its partners, in close cooperation with the Government of Burundi, have worked tirelessly over the past several months to provide sustainable solutions for some of Burundi’s most vulnerable displaced people. While the decommissioning of these four camps is a significant step in addressing the most pressing needs of the internally displaced, we must not forget about the nearly 170,000 Burundians who still remain internally displaced,” said Morgen. The official ceremony for the decommissioning of the four camps was attended by AJ Morgen, Chief of Mission; Juvénal Bigirimana, Governor of Rumonge; Reverien Simbarakiye, Directeur Général pour la Réintégration des Sinistres; Deo Rusengwamihigo, Conseiller Principal chargé des questions sociales à la 2ème vice-présidence de la République; and representatives of partnering UN agencies and NGOs, including UNFPA, the United Nations Children's Fund (UNICEF), the United Nations Office for the Coordination of Humanitarian Affairs (OCHA), CARE and World Vision. The decommissioning of the four camps is part of IOM’s continued efforts to support long-term solutions for those affected by crises in Burundi. However, nearly 170,000 people remain displaced from their homes throughout the country. Of these, 70 per cent are displaced due to natural disasters, many of them in the provinces of Bujumbura namely Mairie, Bubanza, Gitega, Cankuzo and Bujumbura Rural.